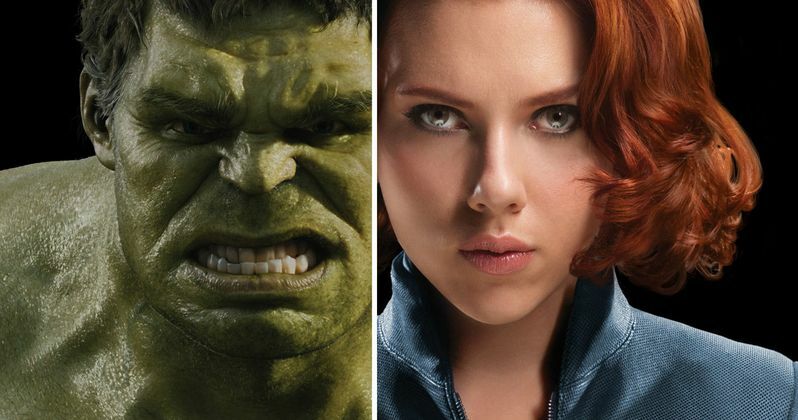 While yesterday's Marvel announcement revealed a slew of new details about the immense Marvel Cinematic Universe, some fans were disappointed that the event didn't include any news about stand-alone Hulk and Black Widow movies. During the Q&A after this presentation, Kevin Feige revealed that there are no current plans to introduce stand-alone movies for these characters. When asked why Hulk was "absent from the timeline" that was revealed today, Kevin Feige had this to say. "I wouldn't say that Hulk is absent from the timeline. I'd say Hulk is going to appear in many of those movies, particularly all those Avengers movies leading up to 2019 in Infinity War. Mark Ruffalo is on board for all of those films, and we're excited to bring him to those films. What happens with the stand-alone Hulk film, I'm going to say what I said about Black Panther last week, or Captain Marvel a week before that, or Doctor Strange a week before that, or Guardians of the Galaxy two years ago, or Ant-Man 10 years ago: we'll see. We'd love to do it, we'd love to find a place to put it, but right now, Hulk will be appearing with his friends in the other films." Later in the Q&A, he was asked why Scarlett Johansson wasn't getting her own Black Widow movie, with Kevin Feige responding that she will have a much bigger role in next year's Avengers: Age of Ultron. "As I said in the presentation, it's all about introducing new characters. Black Widow couldn't be more important as an Avenger herself, but like Hulk the Avengers films will be the films where they play a primary role. Her role in Avengers: Age of Ultron is very, very big and further develops her character. The plans we have for her through the rest of the Avengers saga are very big and she is a linchpin. So instead of taking her out there or doing a prequel which we haven't done yet, we're continuing the forward momentum of the continuity of the Cinematic Universe, of which Widow is a key part." Do you think Marvel should consider giving these popular characters their own movies, at some point during Phase Four? Chime in with your thoughts below.